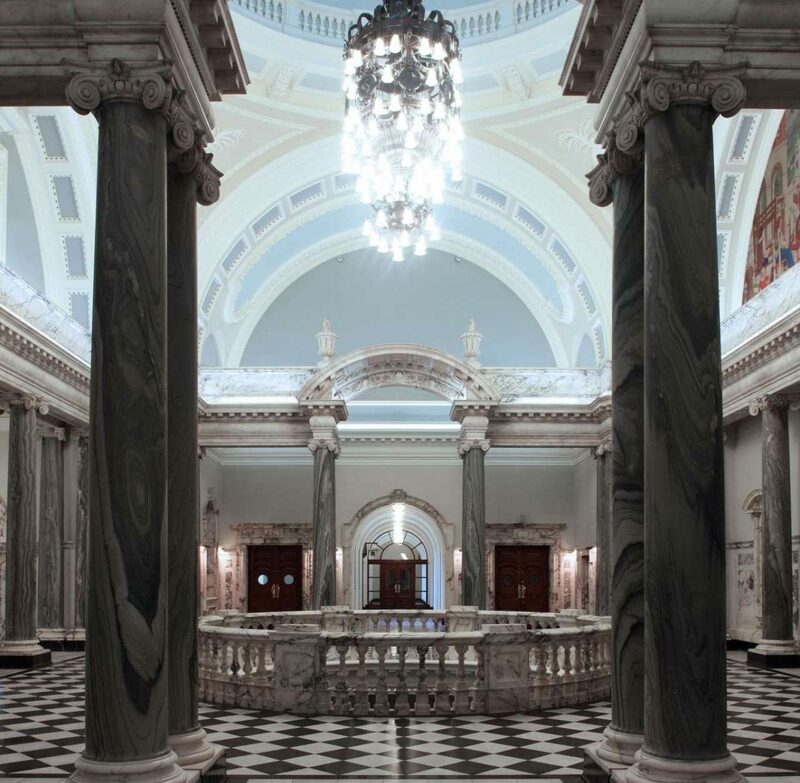 As part of the £12 million programme to renovate Belfast City Hall, we designed and manufactured what is believed to be the largest chandelier in Ireland. The intention was to replicate the light fitting that was installed in the City Hall when it opened in 1906, but damaged beyond repair when the building was bombed in 1941. However, the only reference material available was photography from the turn of the century and it is not known what became of the original chandelier. 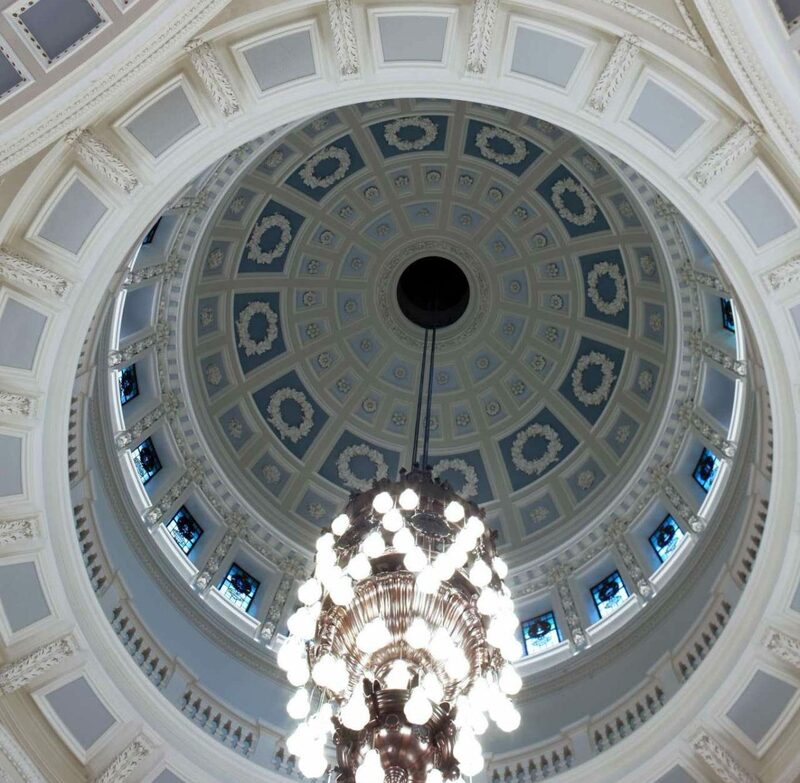 The new 1.3 tonne chandelier was fitted to the top of the City Hall’s impressive dome in its entrance hall, around 20 metres above ground level. Made from brass and hand finished in powdered bronze, it has more than 100 glass shades, which have been designed to accommodate low energy lamps, while giving the same appearance and feel of the original fitting. To ensure the chandelier maintained its radiance, specialist electrical raise and lower equipment was installed so that it can be cleaned in situ. We also manufactured 69 three light chandeliers with glass tulip shades, many of which incorporate emergency lighting using the latest LED technology. In addition, we restored many of the Hall’s other chandeliers to their former glory.